Making his way as an entrepreneur since his grade school days in Las Vegas, Blake Wynn now has his sights set someday on following his family’s footsteps in the resort business. Blake Wynn started selling sneakers on Ebay in the seventh grade. Blake Wynn started B Wynn Sports, which serves as an intermediary between professional athletes and brands. The 19-year-old nephew of former casino magnate Steve Wynn and son of Ken, who once oversaw construction and remodel projects for Mirage Resorts International, has progressed in his entrepreneurship since I interviewed him for the Las Vegas Review-Journal in the fall of 2016. He was a junior at The Meadows School at the time. Since a young age, Blake has been driven and encouraged by the entrepreneurship in his family with advice that if he wanted things or go on dates, he needed to find a way to earn money. That started at 12 after finishing the seventh grade when he went to an outlet mall in Park City, Utah, where his family lived in the summer. He saw a pair of sneakers retailing for $19.99 that had a suggested retail price of $200 and his Wynn enterprise was underway. 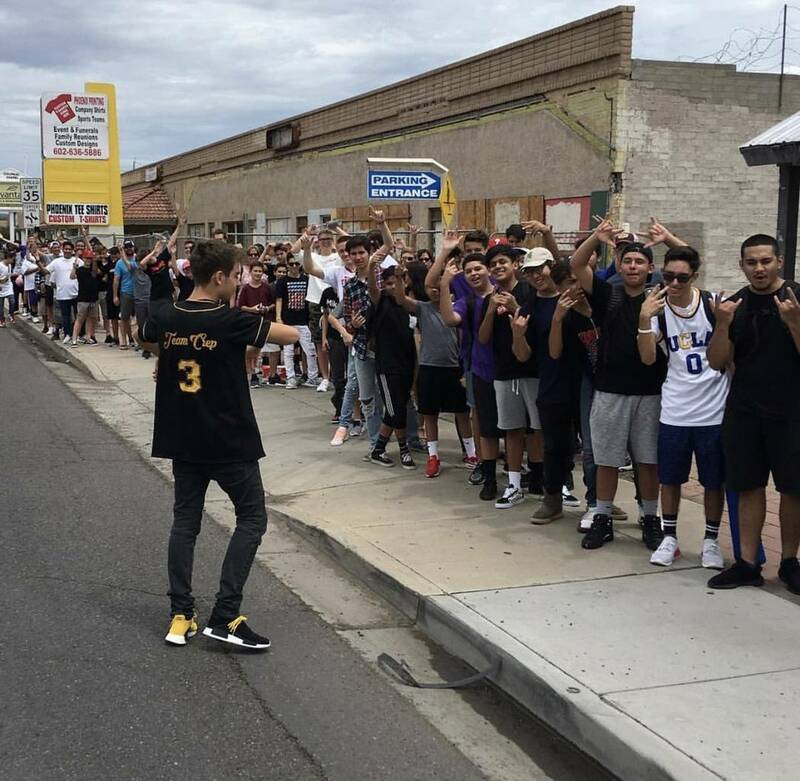 Blake sold shoes on his eBay account and in a local sneaker store and acquired shoes by traveling across the country attending sneaker conventions. He made more than $300,000 in his first four years in business and drove to school in his 2016 Mercedes-Benz CLA250 he paid for himself. 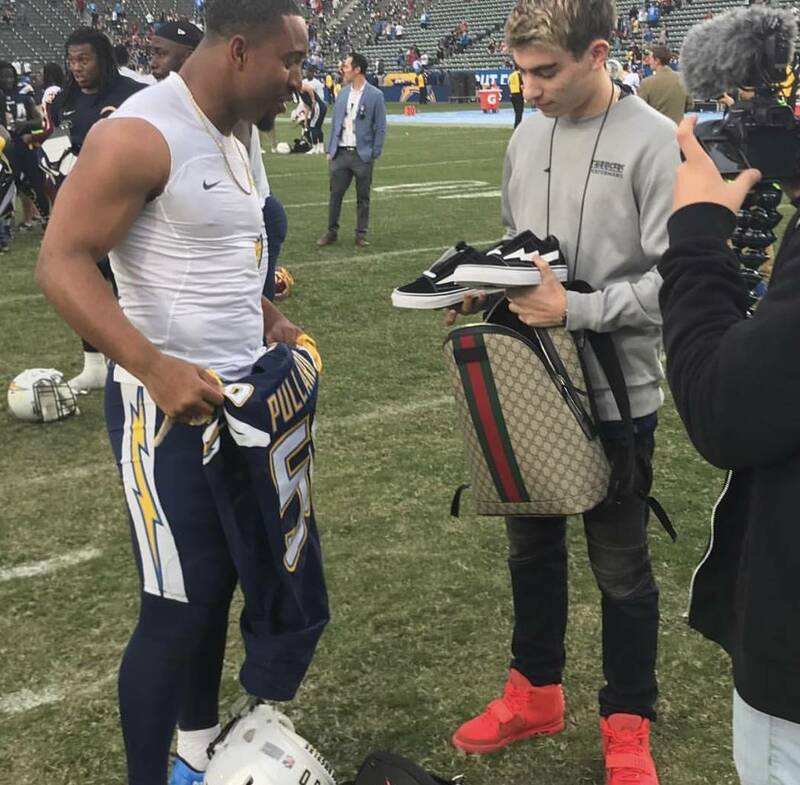 Blake became a celebrity at sneaker shows through his YouTube site that in the first four months had 1 million views and about 20,000 followers. He now has more than 100 million views and 600,000 followers on his social media platforms of YouTube, Instagram, Twitter and Snapchat. A year ago as he was completing his senior year at Meadows, Blake opened a website on e-commerce platform Shopify. He said he’s in the top 1 percent in traffic and sales and did well over six figures in 2018 selling sneakers, rare T-shirts, sweat shirts and his own branded Just Wynn shirts. Last August, Wynn started school at Fordham University in New York City to participate in its highly ranked entrepreneurship program. He said he wanted to go to New York to take advantage of business opportunities. A month into school, he started B Wynn Sports, which serves as an intermediary between professional athletes and brands. It’s about getting athlete’s sponsorships, endorsements, appearances and social media-related content. There’s Antwaun Woods of the Dallas Cowboys and Hayes Pullard of the Los Angeles Chargers. Wynn has even expanded beyond NFL players and has DJ Justin Blau. Wynn’s company gets brands and companies, many of which he has endorsements from or relationships with, to sell ad placements on their Instagram, Twitter and YouTube channels. Players might make an appearance at a car dealership and sign autographs and take pictures. When he signed Woods, a defensive tackle with the Cowboys, Blake said he had 14,000 followers on Instagram. He now has 65,000. Wynn was named one of the influential entrepreneurs of 2019 by the Imperium Group. Blake continues to have his Just Wynn social media operation in which he has his YouTube and Instagram accounts. 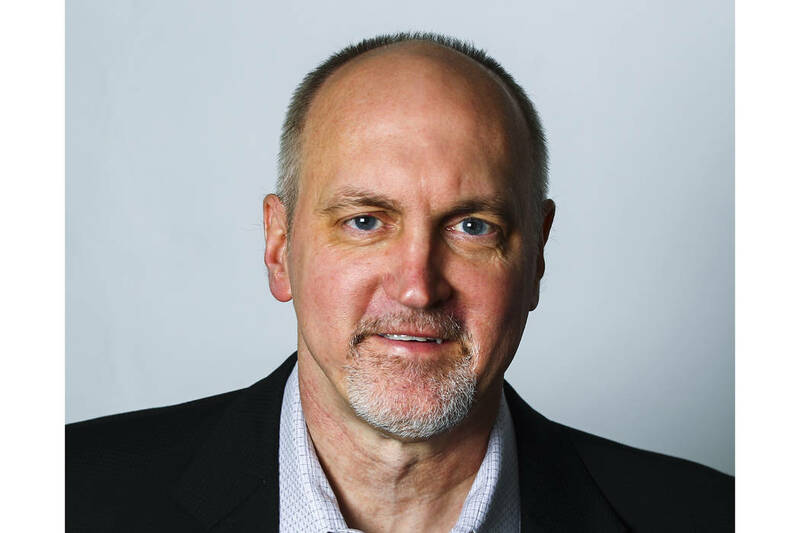 He consults by working people’s companies and people on personal branding and marketing. He also makes speeches. Blake even hired a fellow Meadows classmate, Brock Prince, to serve as chief operating officer of B Wynn Sports and manager of Just Wynn. Blake said he’s taking a break from school after one year to focus on his businesses but hopes to return. He said didn’t like that other kids didn’t have the same vision for their future like he had for his. He said he wasn’t into partying and didn’t want it to rub off on him. Wynn said he will be on a speaking tour this summer and then go to NFL training camps to meet with players and discuss marketing plans while they’re in season. Blake said he has worked with the Chargers over the last two years with influencer marketing to promote their brand. Blake’s mom, Dale, still lives in Las Vegas and he travels back to Southern Nevada to see her. When he travels and gives speeches, Blake said his uncle, Steve, never comes up in the conversation. Many don’t know he’s even related to him. Steve Wynn stepped down as CEO of Wynn Resorts in 2018 after allegations of sexual misconduct rose. Blake said he doesn’t want to comment about what’s happened to his uncle over the past year. He’s previously said he’s done a lot for Las Vegas with the resorts he’s built on the Strip. Blake has his focus on casino resorts. He said he’s been talking to his mom about his future and how starting a hotel-resort is something he’s open to doing. He said it’s always been in the back of his mind since he was a child to go into the family business. Rooms at luxury resorts would have a butler, which would act like a personal assistant and get them what they need, Blake said. Blake said he would like to purse that phase of his career over the next decade before he’s 30 because it will take a lifetime to reach perfection. “I would rather start younger rather than older so I have a few cracks at it,” Blake said. When I wrote the story in 2016, I talked about how maybe in 20 to 30 years Steve Wynn might be known as Blake Wynn’s uncle. That will prove to be the case if Blake has his way.